Product information "Face Paint book Quick Picks"
Book eye makeup nose and face painting. Makeup Book by Margi Kanter with examples and step by step explanation of 20 drawings makeup on and around the eye, nose and forehead. 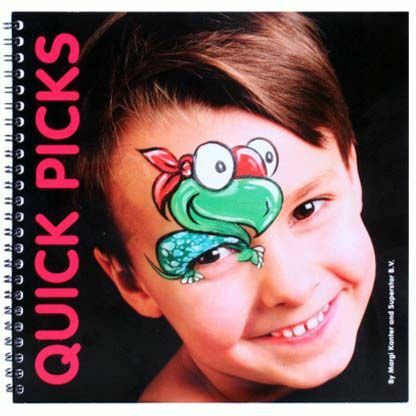 Related links to "Face Paint book Quick Picks"
Customer evaluation for "Face Paint book Quick Picks"